The Marines have identified the F/A-18D Hornet pilot who died in a hospital after a crash with a KC-130J off the coast of Japan. Capt. 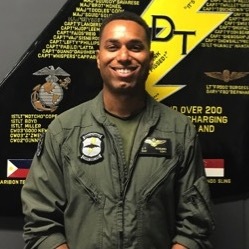 Jahmar F. Resilard, 28, of Miramar, Fla., “was pronounced deceased after he was found during search and rescue operations off the coast of Kochi, Japan on Dec. 6,” the Marines said in a statement. Resilard was a pilot with “the Bats” of Marine All Weather Fighter Attack Squadron 242 (VMFA(AW)-242), stationed on Marine Corps Air Station Iwakuni in Yamaguchi, Japan. “The Bats are deeply saddened by the loss of Capt. Jahmar Resilard. He was an effective and dedicated leader who cared for his Marines and fellow fighter pilots with passion,” Lt. Col. James Compton, the squadron’s commanding officer, said in the Friday statement from III Marine Expeditionary Force. Resilard was flying the Hornet as part of a night-time training mission with a KC-130J when the two planes suffered a mishap about 200 miles off the coast of Japan at 2 a.m. on Dec. 6 local time, according to Marines. “The aircraft were conducting routine training and aerial refueling was a part of the training; as to what was taking place when the mishap occurred, that is under investigation,” read a statement from the Marines. A second Marine aboard was recovered by a Japanese Maritime Self-Defense Force helicopter just hours after the crash and is in fair condition, according to the last statement from III MEF. 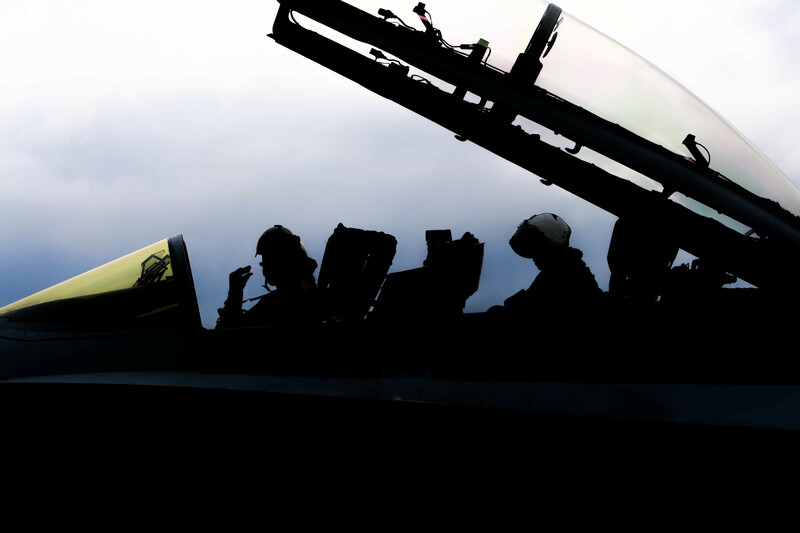 Stars and Stripes cited Japanese officials who said that Marine was one of the two aviators aboard the Hornet. The five Marines aboard the KC-130J are still missing. A U.S. 7th Fleet P-8A Poseidon maritime surveillance aircraft out of Kadena Air Force Base on Okinawa, ships with the Japanese Maritime Self-Defense Force and the Japan Coast Guard have been tapped to assist in the search. Meanwhile, the Marines have begun an investigation into the cause of the crash. The following is the Dec. 7, 2018, release from III Marine Expeditionary Force. MARINE CORPS IDENTIFIES NAME OF DECEASED MARINE IN F/A-18 and KC-130 MISHAP MARINE CORPS BASE CAMP BUTLER, Okinawa, Japan – The Marine Corps identifies Captain Jahmar F. Resilard, 28, as the Marine who was pronounced deceased after he was found during search and rescue operations off the coast of Kochi, Japan on Dec. 6. Resilard is one of two Marines who have been found after an F/A-18 and KC-130 mishap occurred around 2 a.m. local time. Resilard, served as an F/A-18 pilot with Marine All Weather Fighter Attack Squadron 242 (VMFA(AW)-242), stationed on Marine Corps Air Station Iwakuni in Yamaguchi, Japan. “The Bats are deeply saddened by the loss of Captain Jahmar Resilard. He was an effective and dedicated leader who cared for his Marines and fellow fighter pilots with passion. His warm and charismatic nature bound us together and we will miss him terribly. We honor his service and his contribution to the Marine Corps and our great nation. Our thoughts and prayers are with his family and friends,” said Lieutenant Colonel James Compton, commanding officer of Marine All Weather Fighter Attack Squadron 242. Captain Resilard is from Miramar, Florida. His personal decorations include the Navy and Marine Corps Achievement Medal, Global War on Terrorism Service Medal, and National Defense Service Medal. We ask that media respects the family’s privacy during this challenging time. The circumstances of the aircraft mishap are currently under investigation.